This is what nearly $1,700 worth of skin care looks like. Four beautiful glass bottles in weighty, elegant boxes, each stamped with platinum, gold, or rose gold print. I just get happy looking at them lined up on my vanity, sort of like the way I did when I bought my first La Mer Crème de la Mer way back in the ’90s. But that’s not the only thing Retrouvé and La Mer have in common. To wit: an interesting backstory (both founders created their respective lines for their own skin), loads of marine ingredients (algae, kelp), and beautiful packaging with a price point to match. Hey, I’m not in fashion — we beauty editors can eat! I love the juxtaposition of such an elegant product with the comfort-food shakshouka, a mix of eggs, stewed tomatoes, kale, and yogurt. Both are rich, creamy, and make me happy. 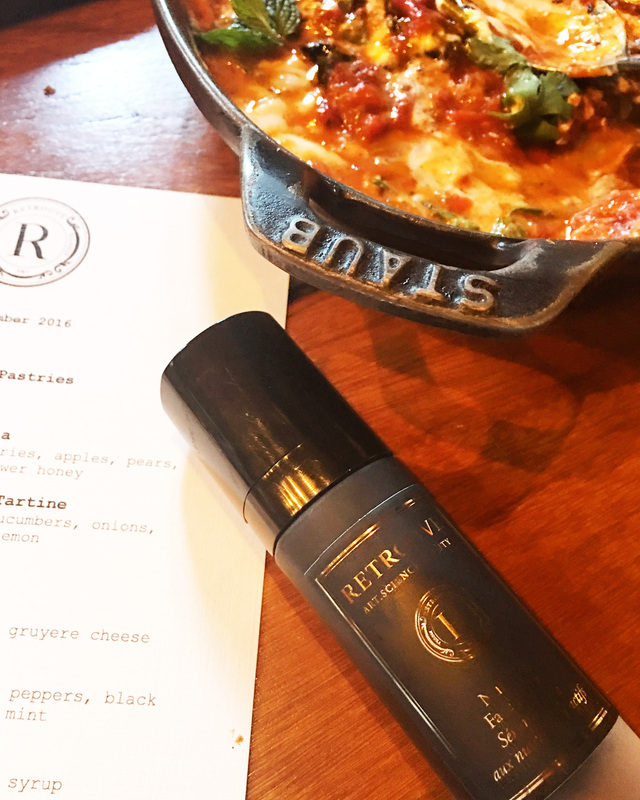 When we tested the products at a press event a couple months ago, I think the other editors and I were a little taken aback by how thick and balm-like some of the textures were. We’re talking like a Vaseline lip balm-like texture. But as I patted the balm onto the back of my hand (and yes, it felt incredibly rich), I was shocked to find that after about 15 minutes, the “balm” had completely disappeared, as if it had absorbed deep into my skin, leaving no greasy afterfeel and only super soft, smooth skin. It was pretty impressive. 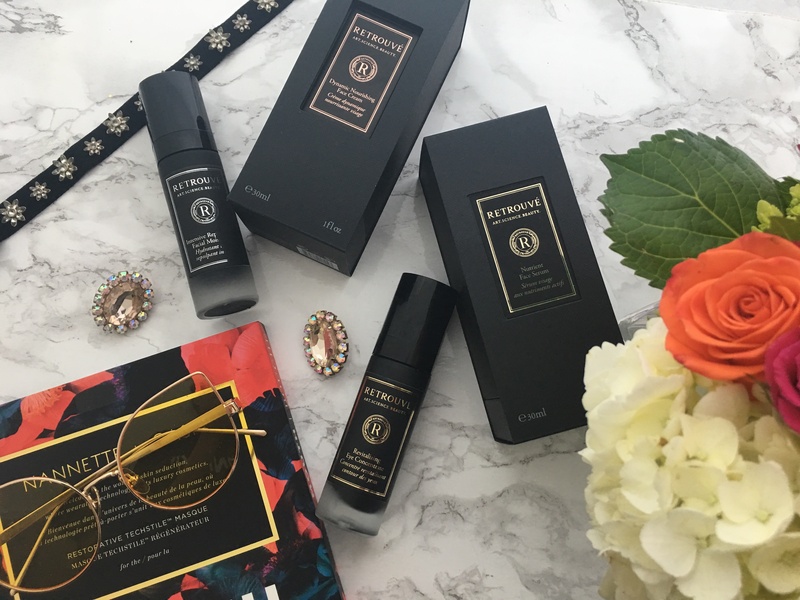 And despite its rich oil texture, I never have problems with my eye makeup with this eye treatment — it doesn’t interfere at all, contrary to what you’d think with something so rich. 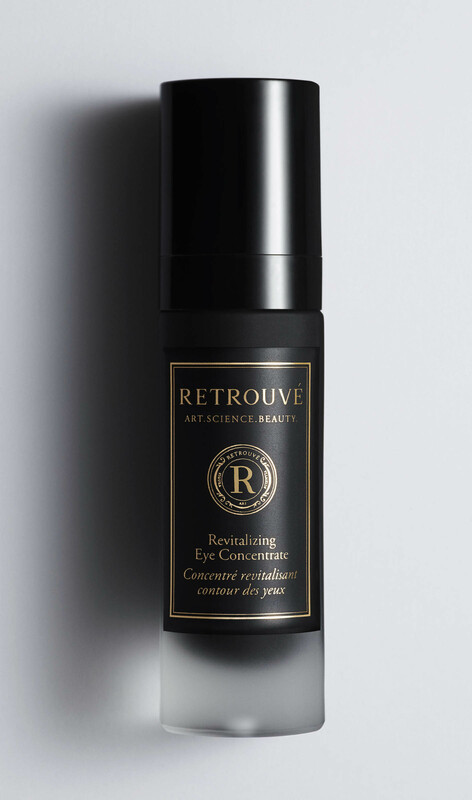 I’d argue that this eye treatment is even better than other eye creams that are loaded with silicones, which always make my eye makeup slip and slide all over my face. ambiaty extract, a shrub from Madagascar that protects the skin’s dermal-epidermal junction. I love the Dynamic Nourishing Face Cream for its luxurious texture that is still surprisingly lightweight — it’s perfect for everyday. (Squalane and tetrahexyldecyl ascorbate are high up on the ingredient list.) And the Intensive Replenishing Facial Moisturizer, considered the line’s pièce de résistance, is an overnight treatment packed with apple stem cells, marine extracts, and other skin rejuvenating ingredients for very dry skin. (The first five ingredients are cholesterol ester, tetrahexyldecyl ascorbate, a stable vitamin E, squalane, and safflower seed oil.) Yes, it has the scent of something slightly sweet and fermented, and it does have alcohol denat. 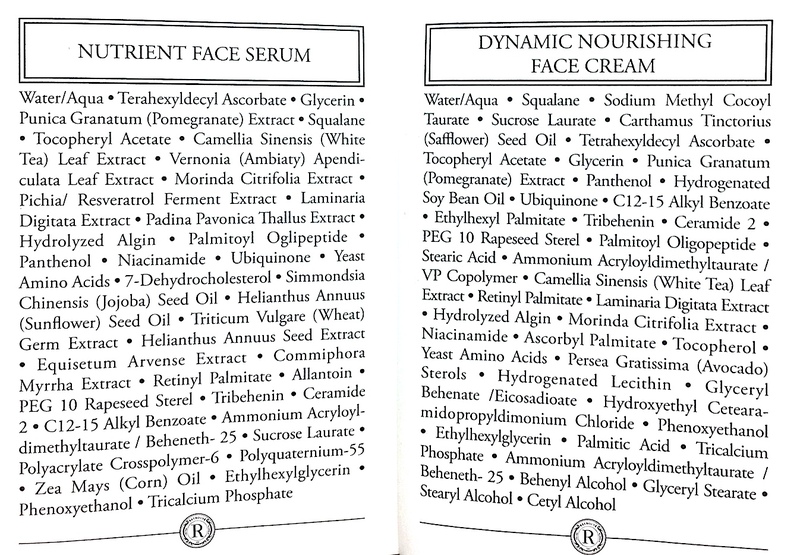 (the seventh ingredient), but for a formulation like this, overwhelmingly balanced out by so many rich botanical oils and extracts, I’m willing to overlook it. 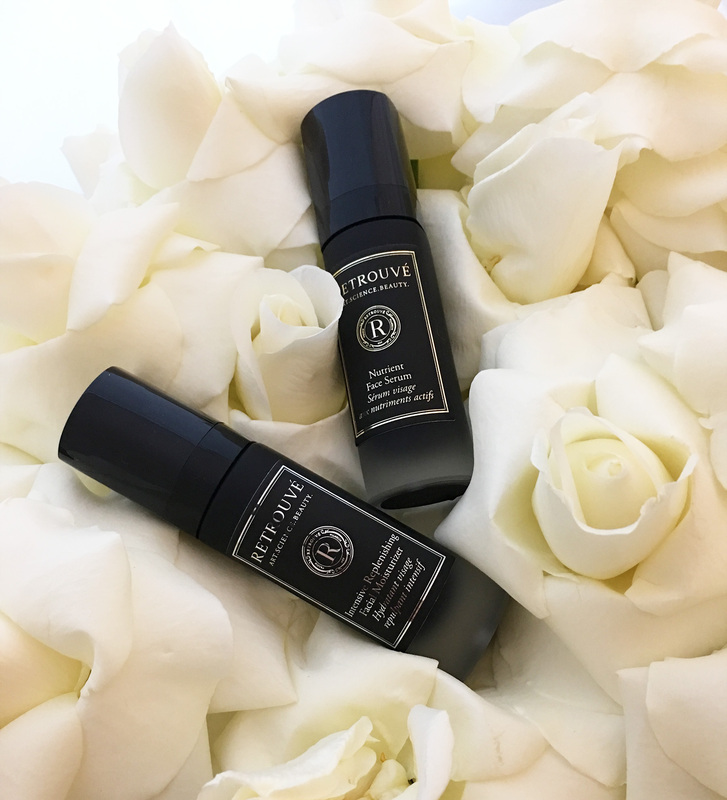 Both are packed with ingredients similar to the Eye Concentrate and Face Serum; in other words, very few chemicals and loads of nature-based and science-backed skincare ingredients. So you get an idea of the pretty amazing ingredient lists. No doubt, Retrouvé is pricey. It’s La Mer-pricey. It’s got a cult following, so it may eventually reach La Mer-prestigious. It’s certainly prettier than La Mer. But is it worth the price? So far, based on what I’ve seen on my own face, I definitely think it is. Will I re-buy (or buy, since what I’m using now are press samples)? To be honest, I don’t know if I’ll be able to buy after finishing my stash — as a beauty editor, I have a lot of other products I have to go through — but I definitely think it’s high up there on my list of skin investments I’m willing to make. What’s the most expensive skin care product you’ve ever tried, and did you think it was worth the price? That’s so true Angela. It’s hard to justify, especially since there are so many options — and good options — out there. If only I weren’t such a chicken about Botox and fillers. XD Alas, I think the time is coming when I won’t have a choice!